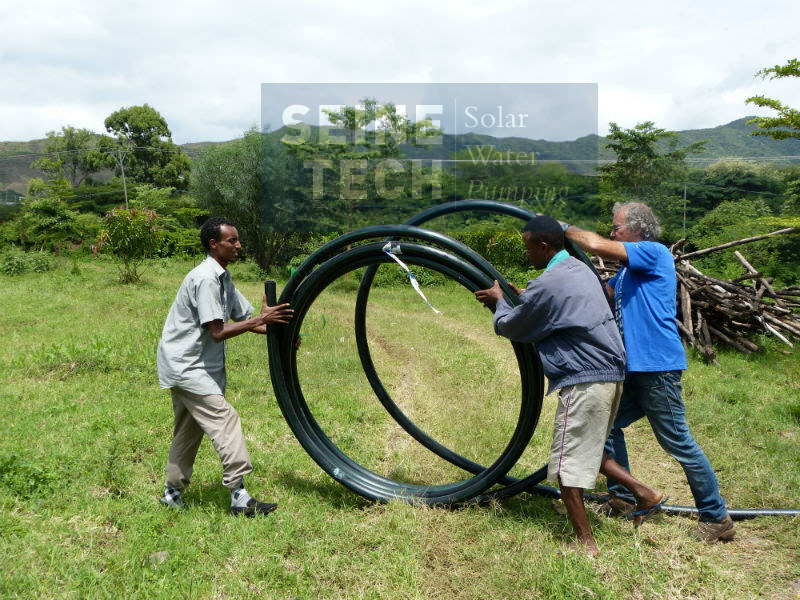 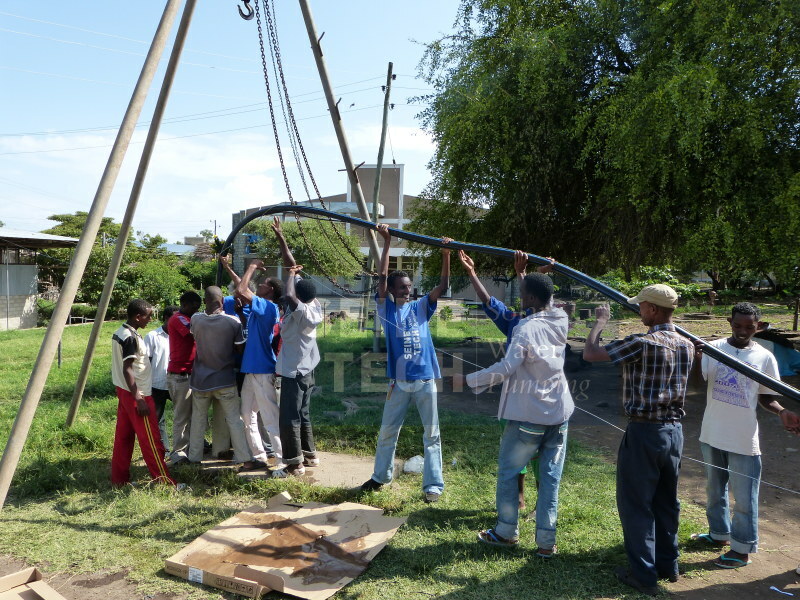 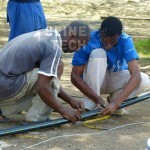 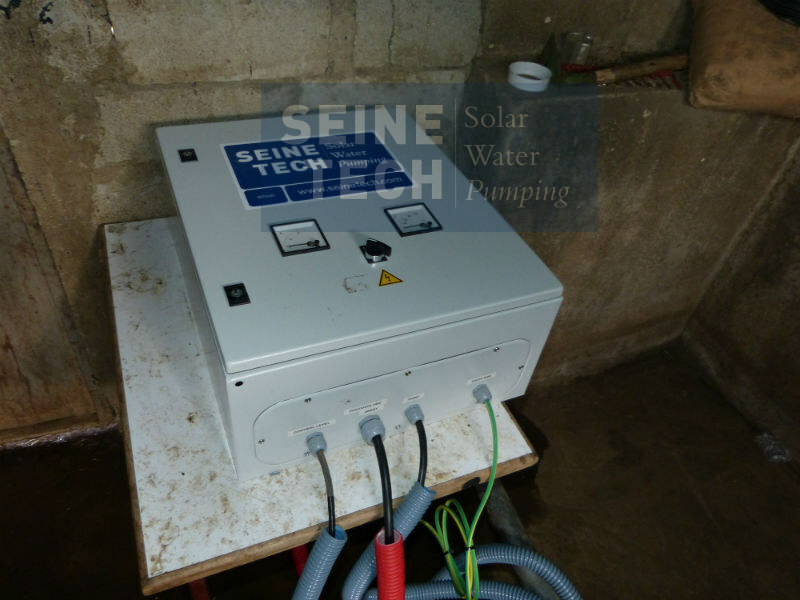 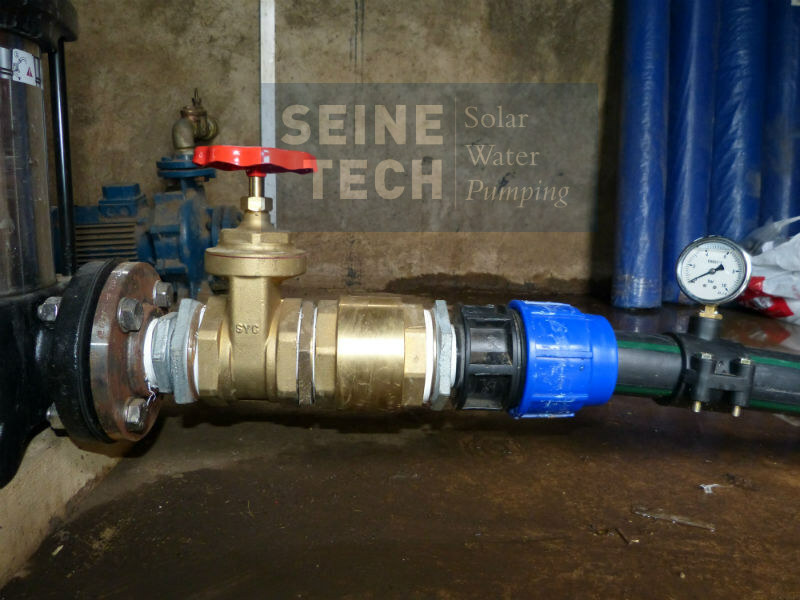 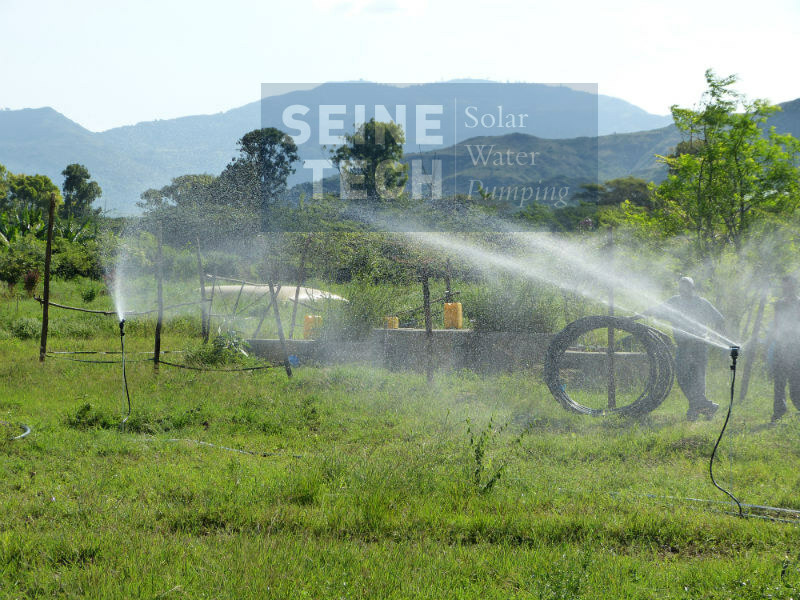 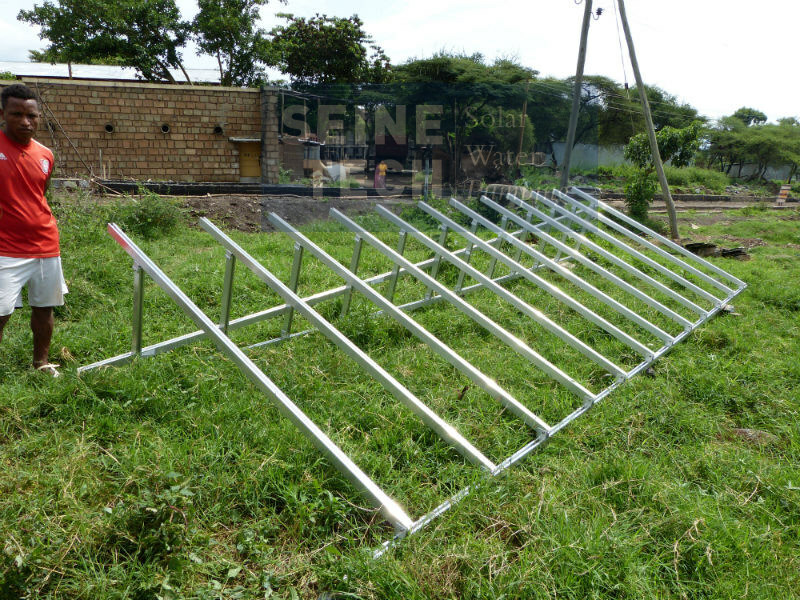 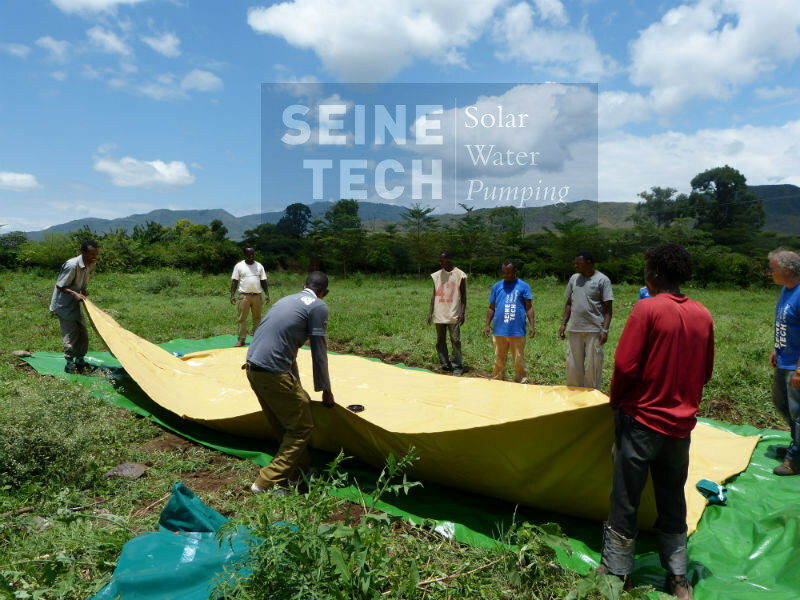 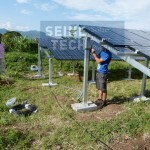 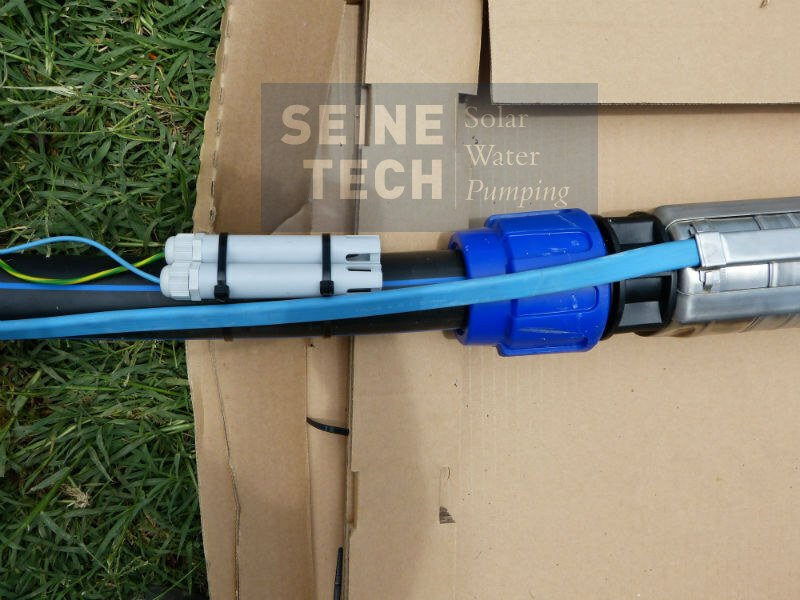 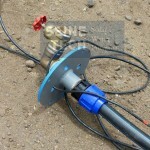 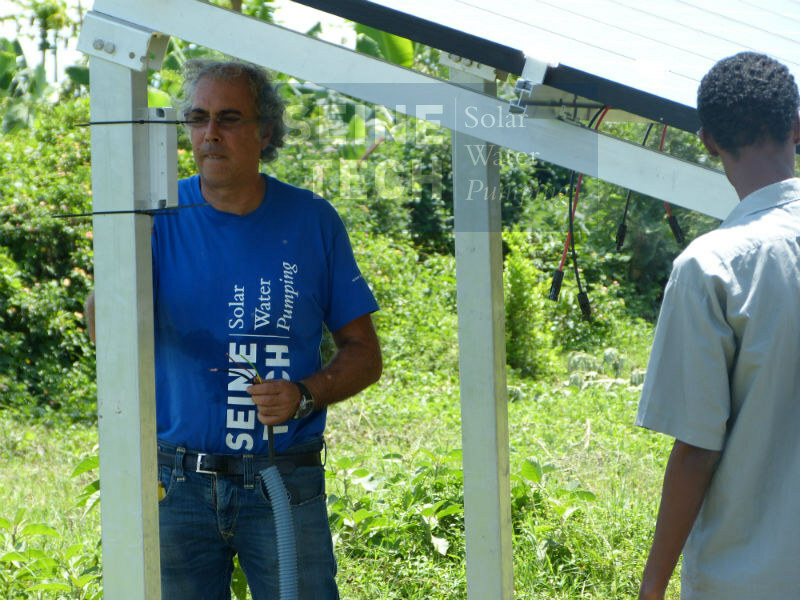 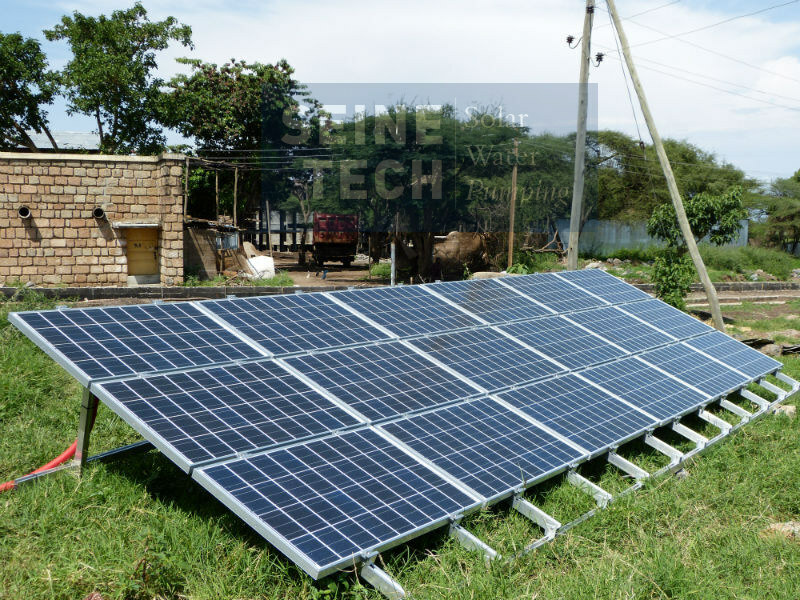 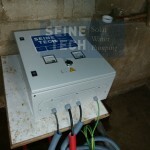 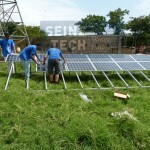 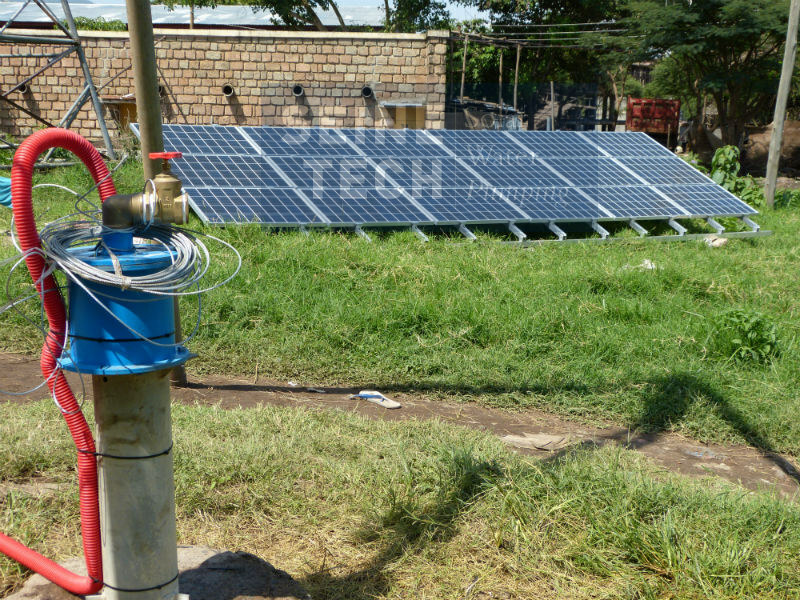 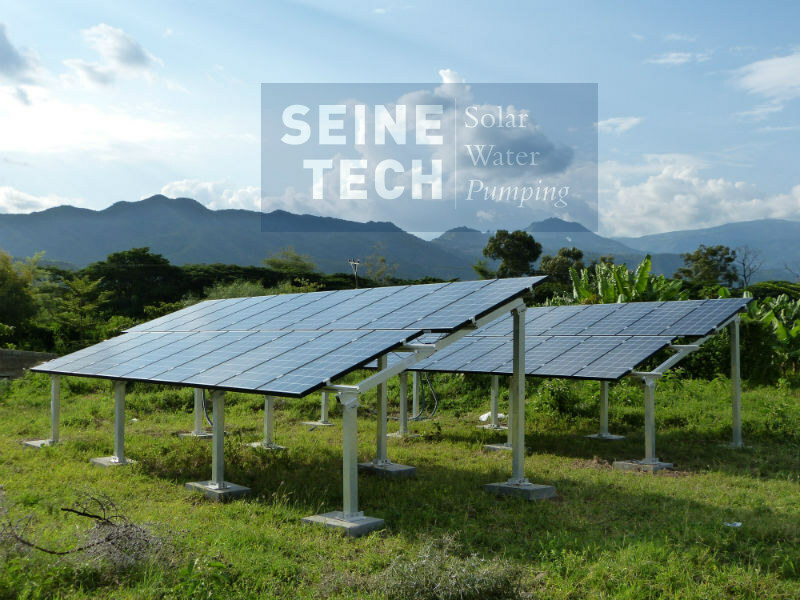 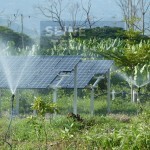 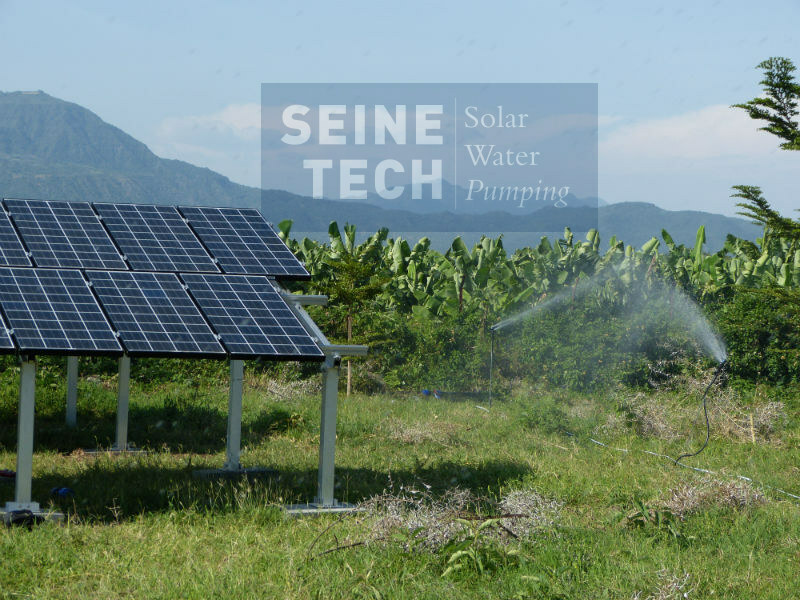 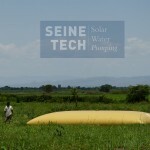 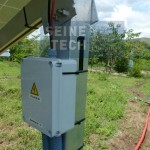 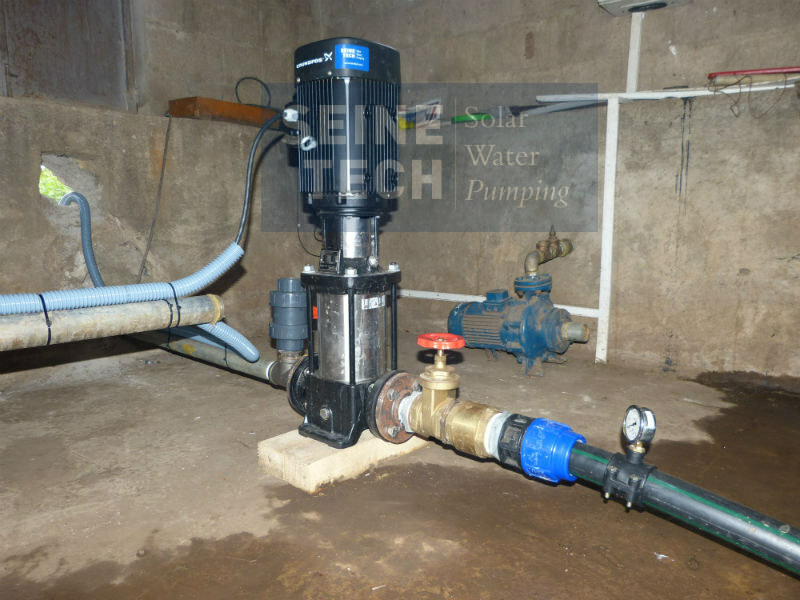 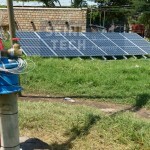 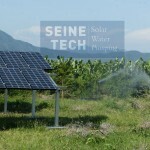 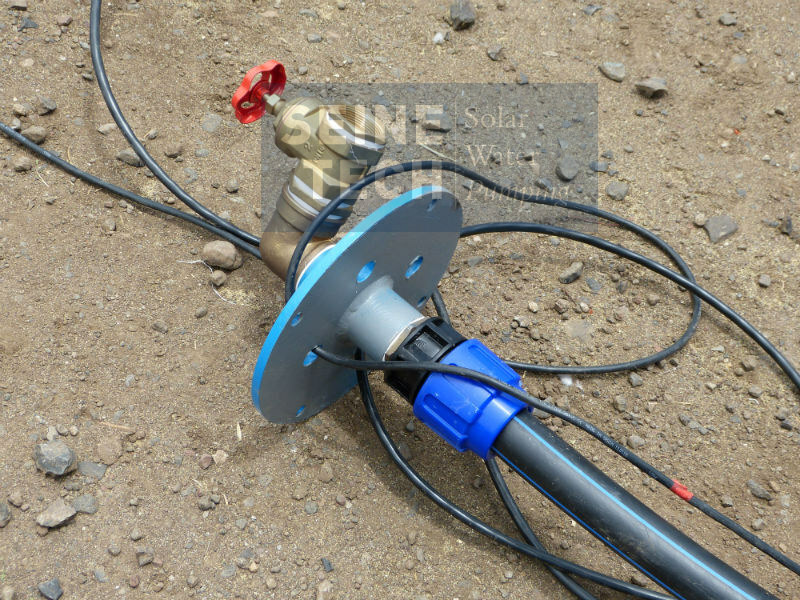 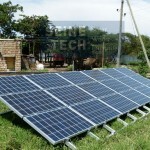 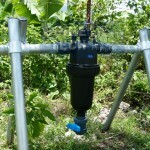 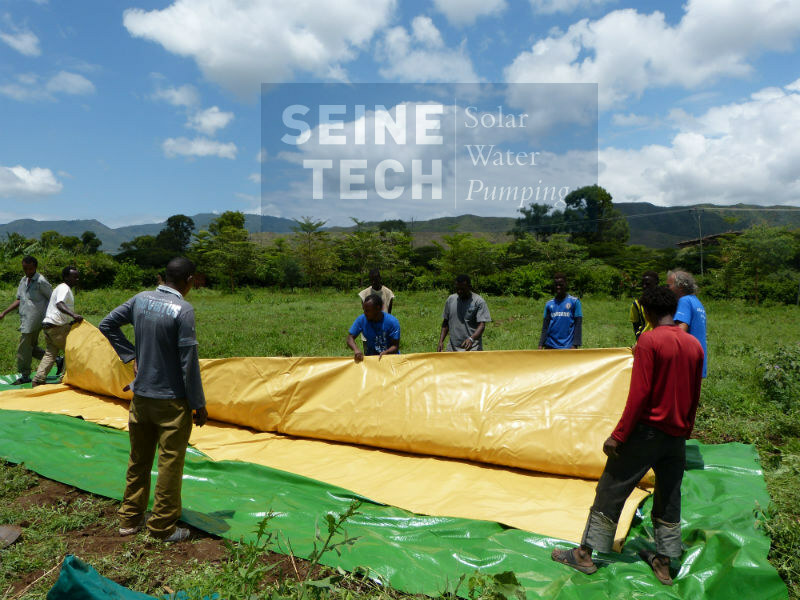 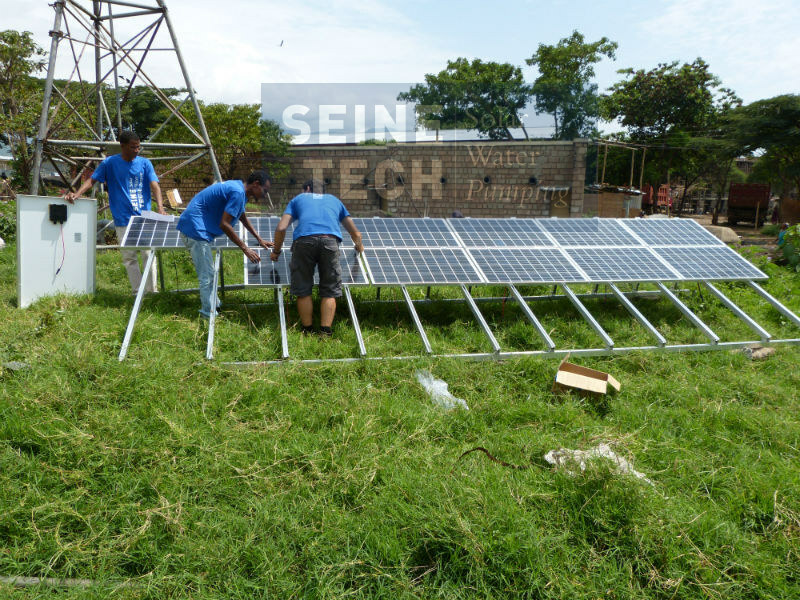 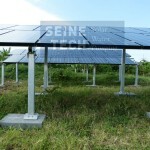 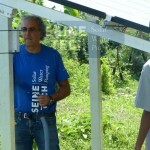 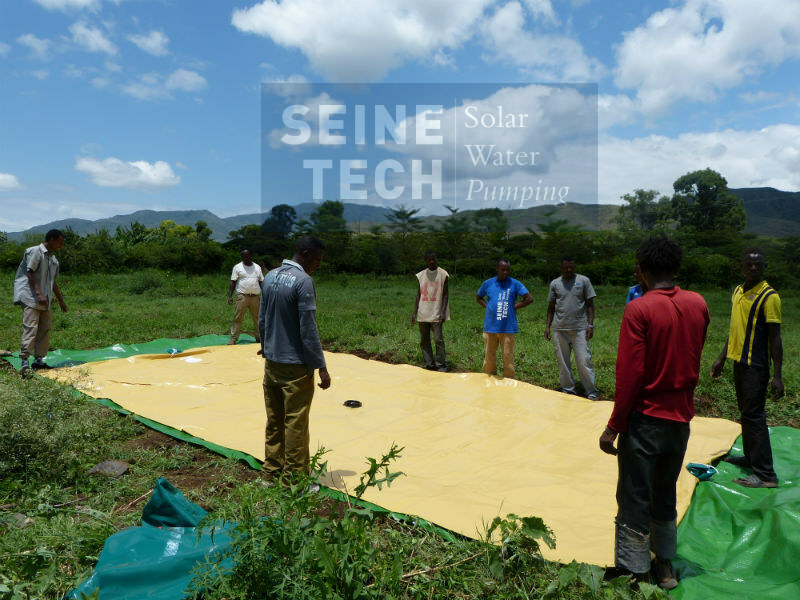 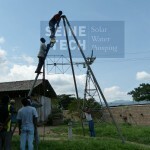 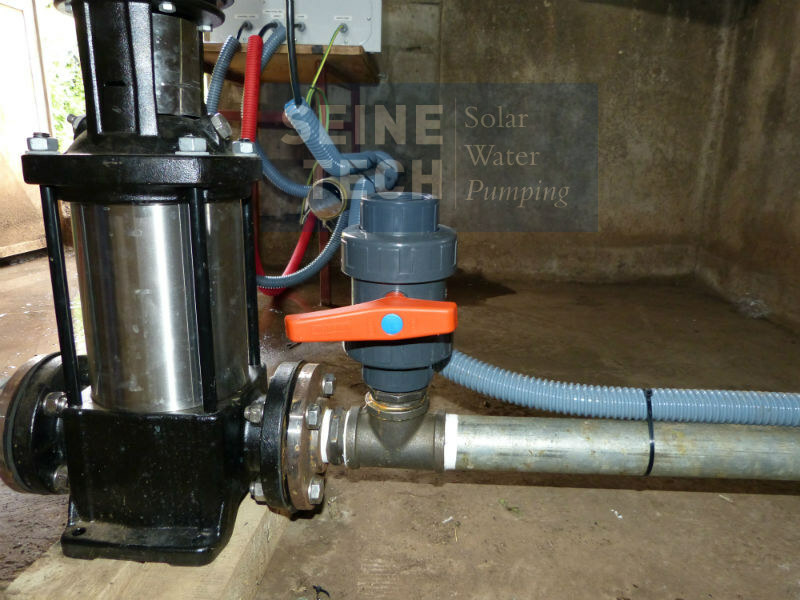 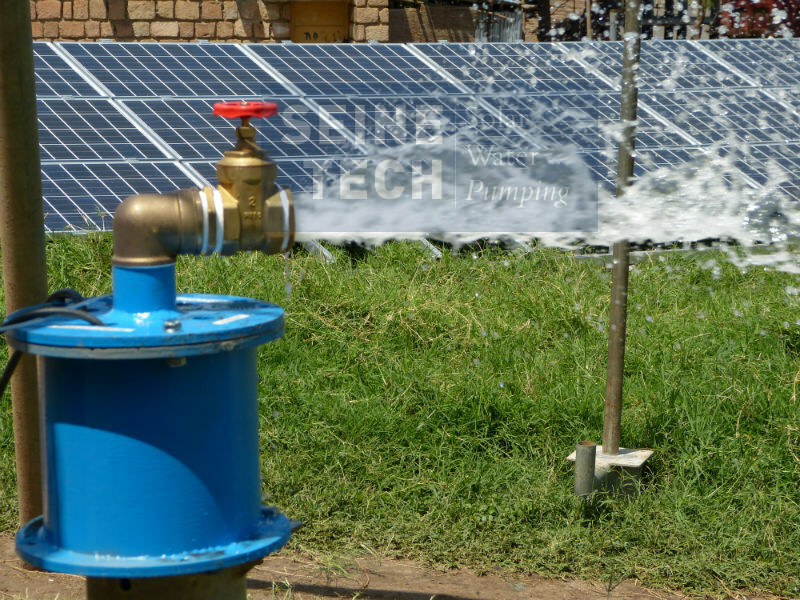 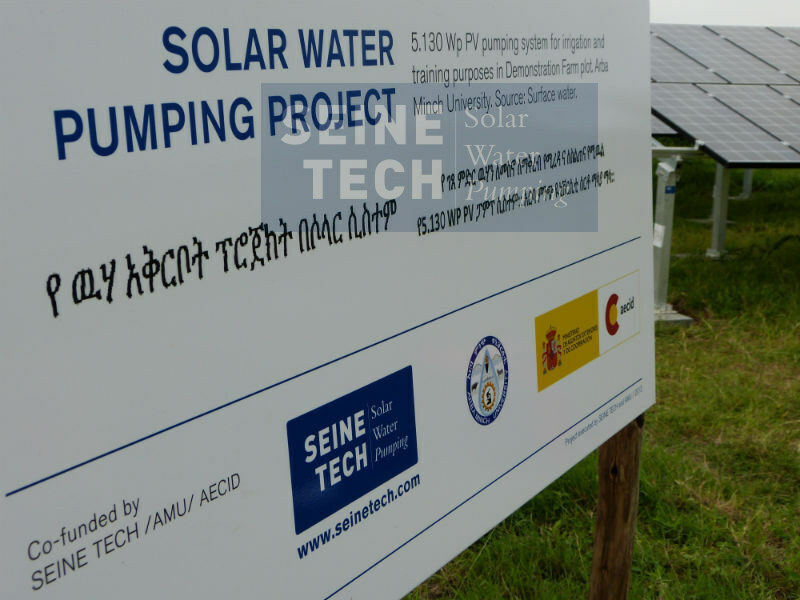 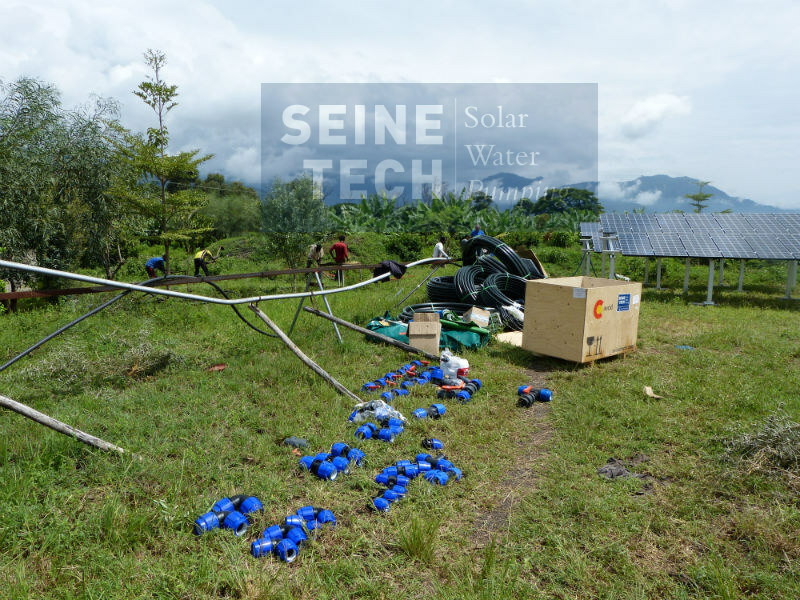 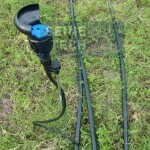 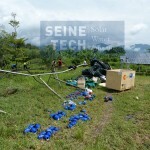 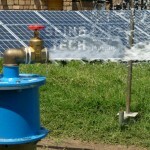 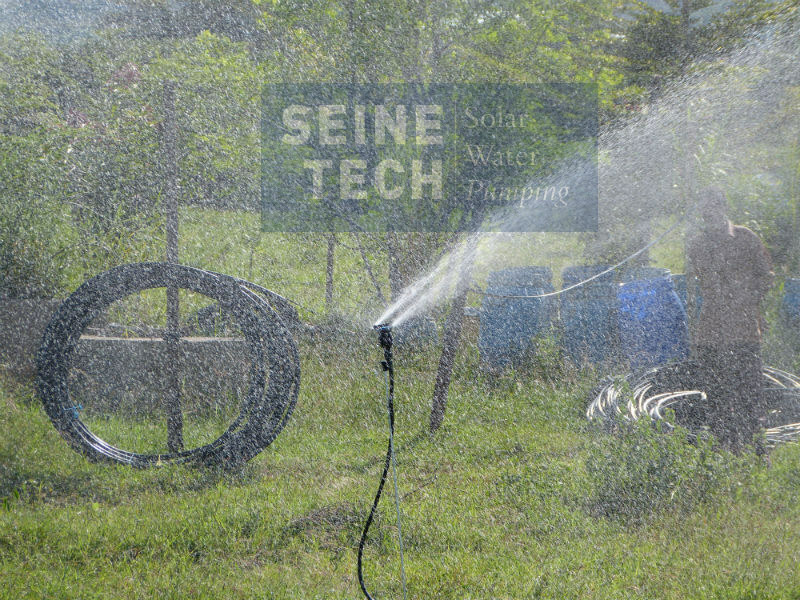 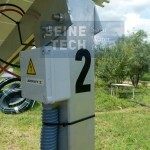 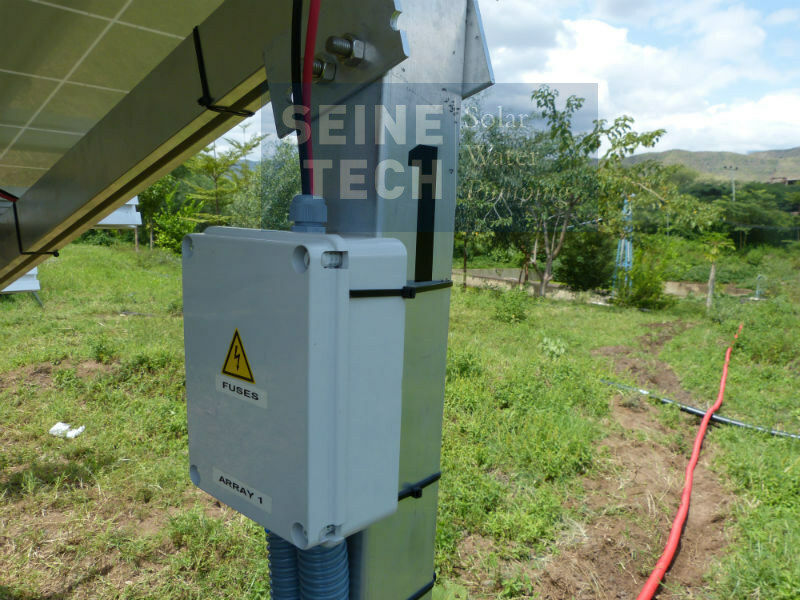 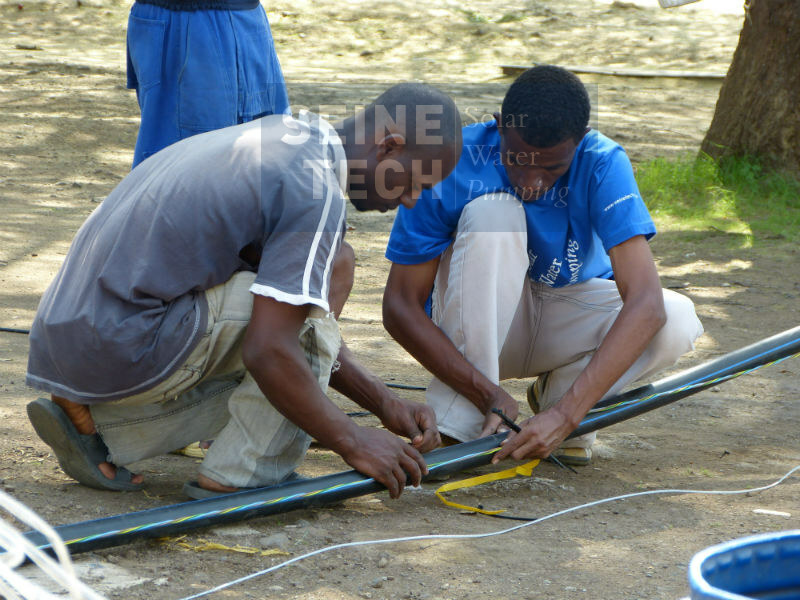 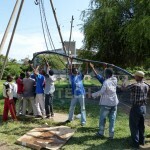 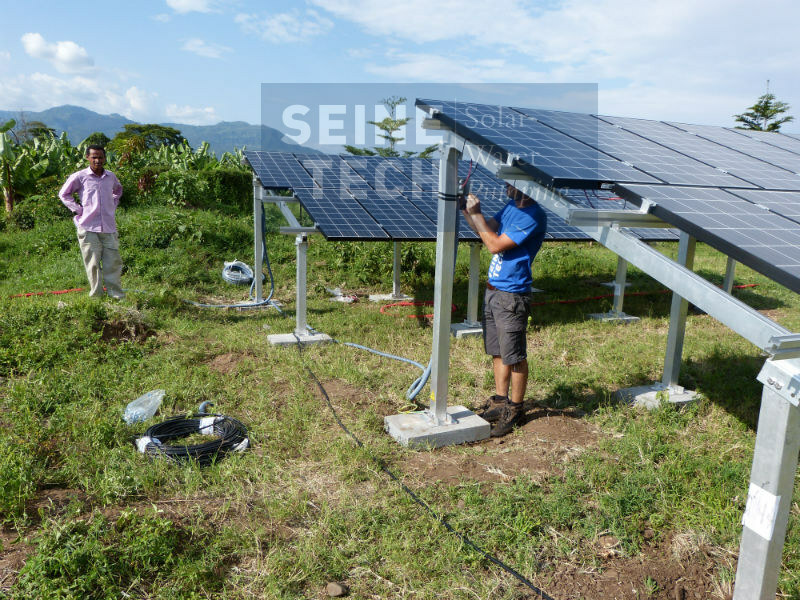 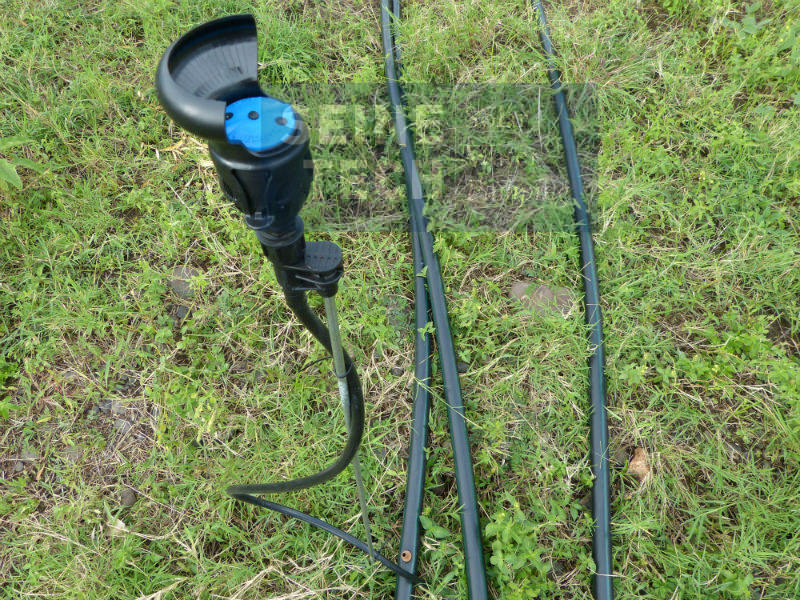 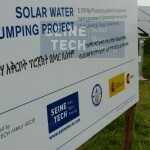 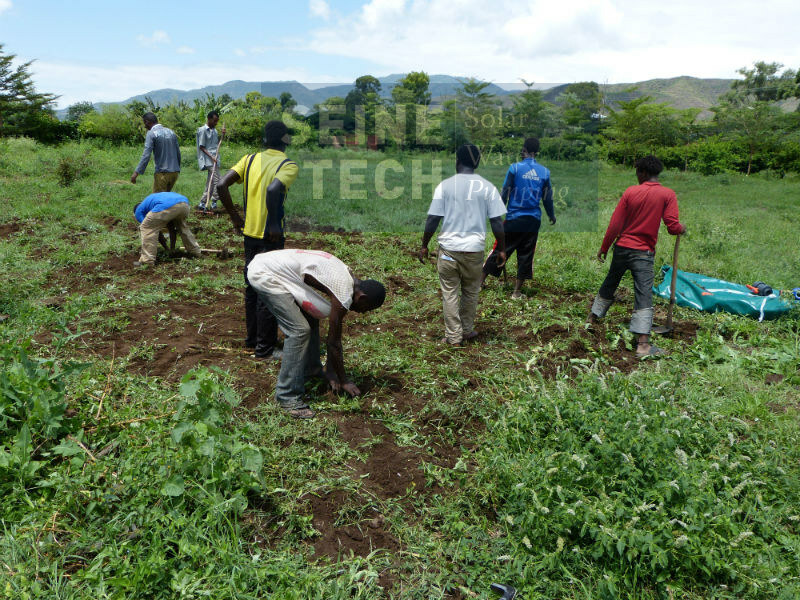 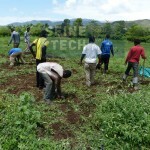 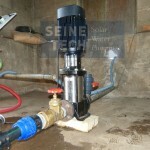 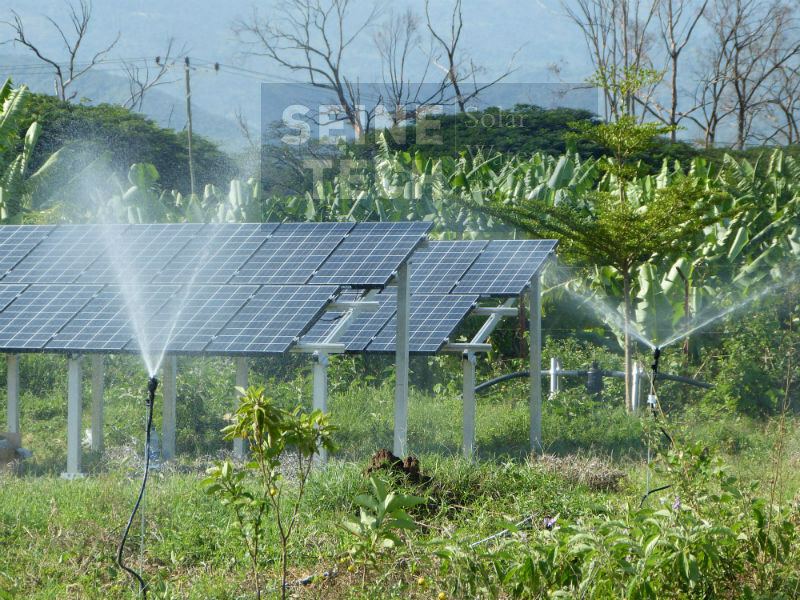 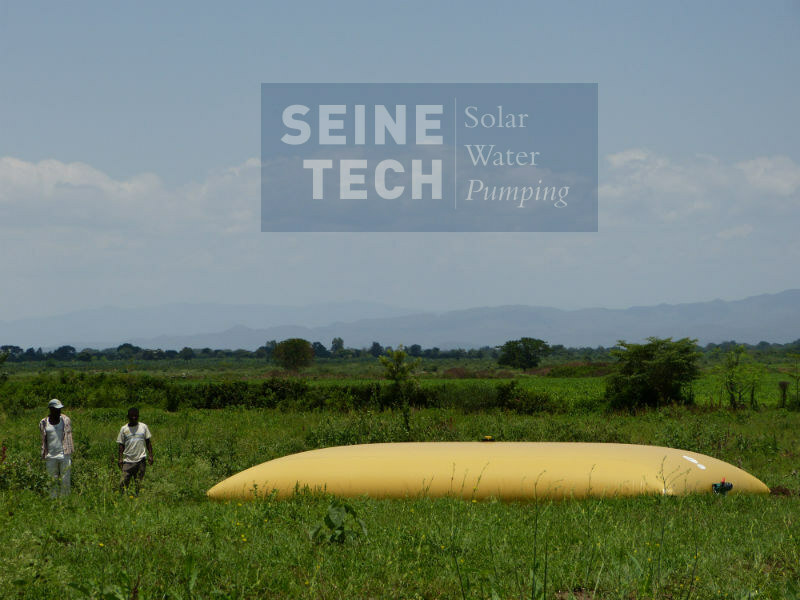 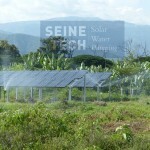 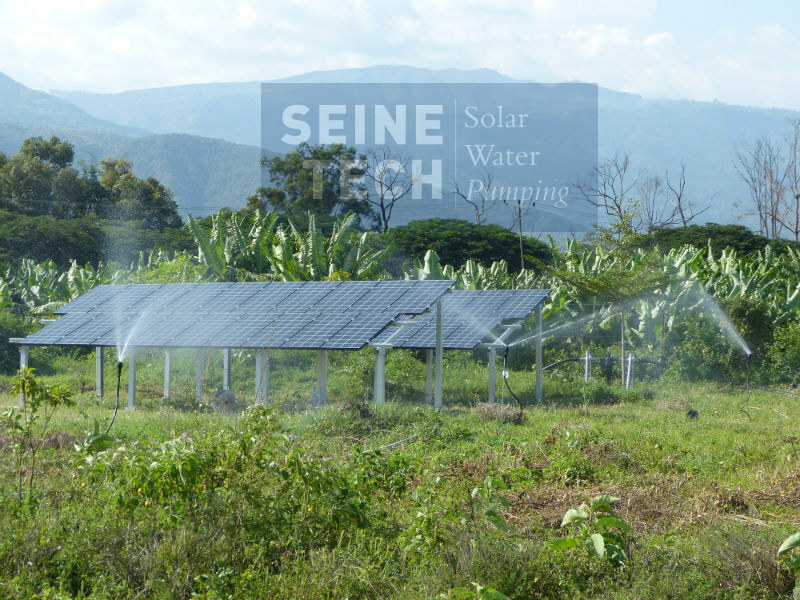 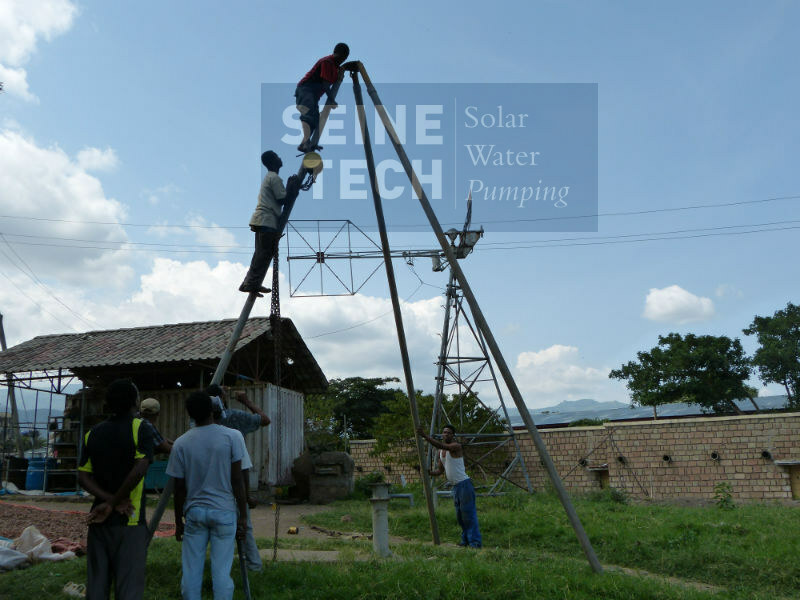 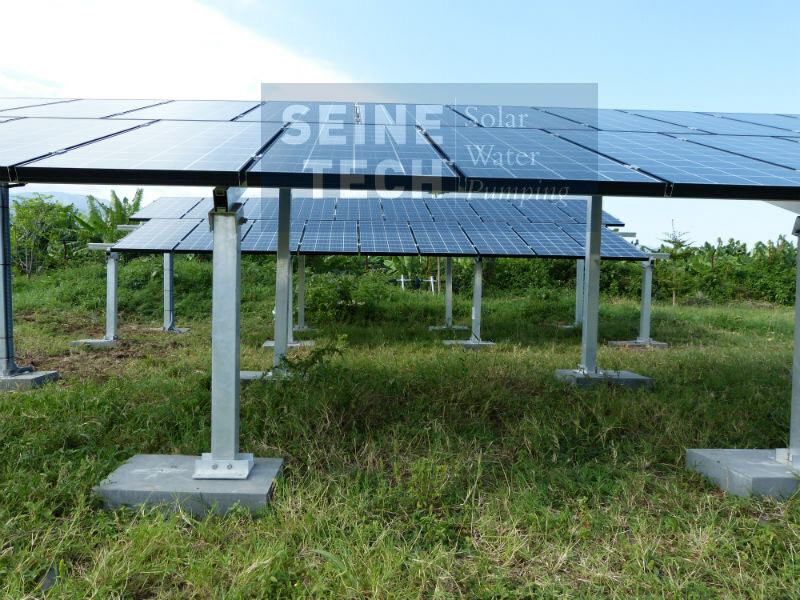 Installation of a Solar Pumping system for land irrigation using a multi-stage pressure pump 4 KW, 230/400V/50 Hz, delivering 15m3/h at maximum pressure of 6 bar. 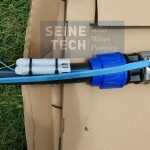 Source: surface waters from river deviation. 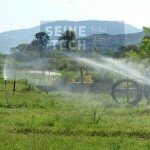 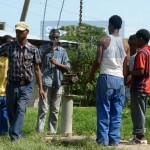 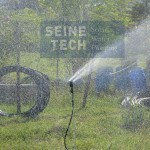 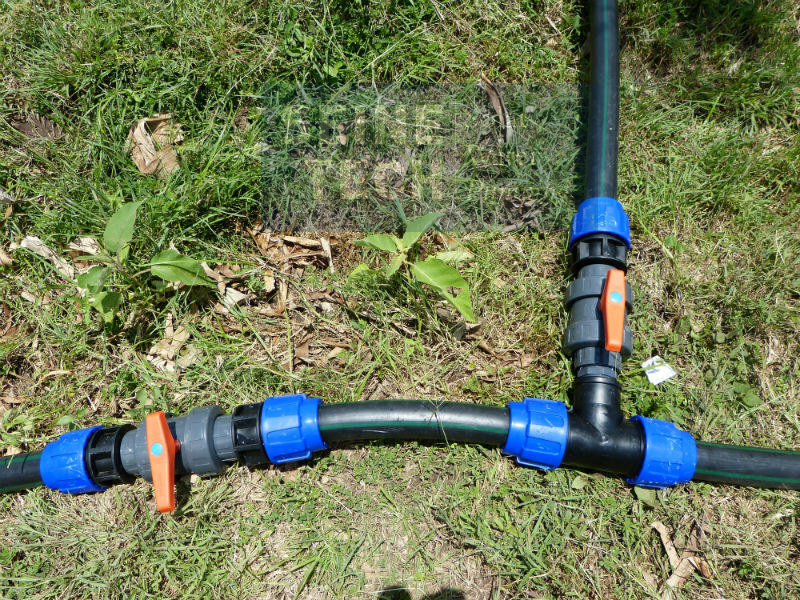 Irrigation by sprinklers and dripping. 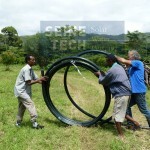 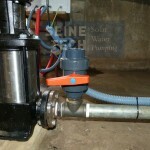 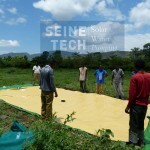 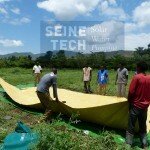 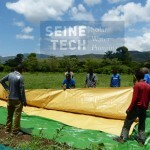 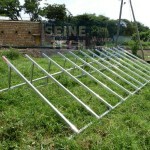 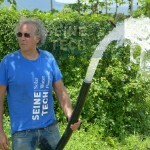 Bladder tank of 20m3 feeded was installed for flooding. 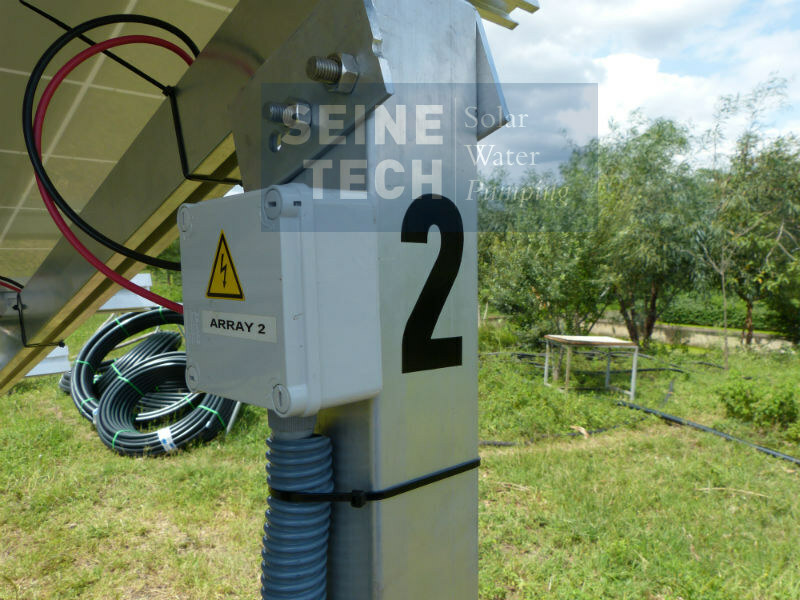 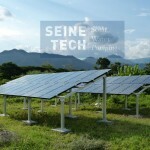 Total array power: 5.130 Wp. 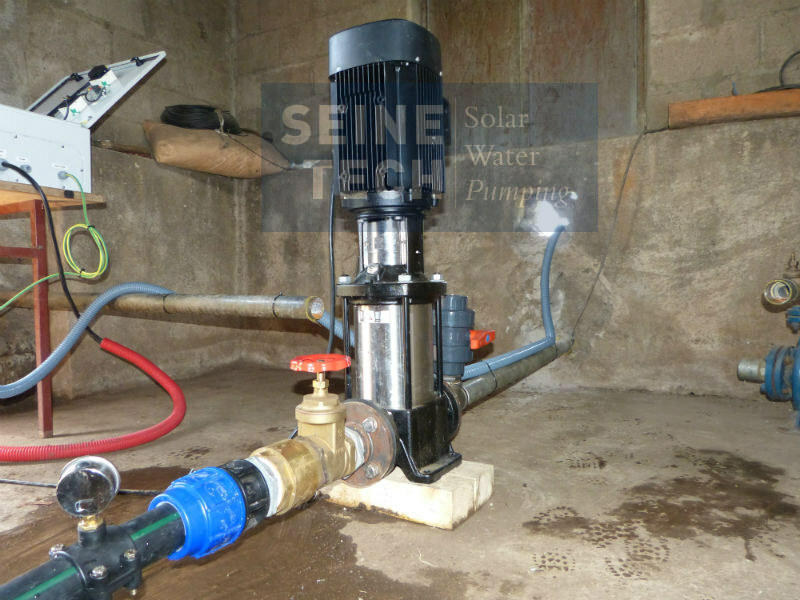 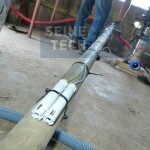 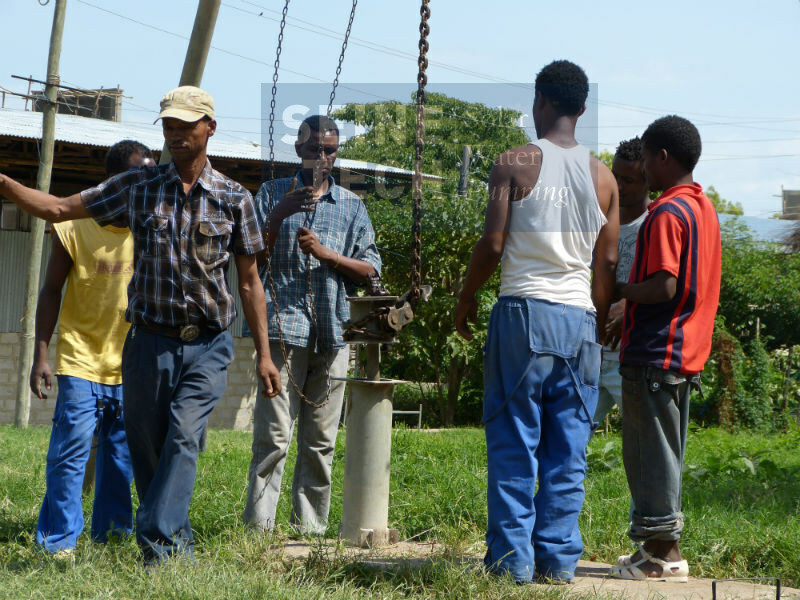 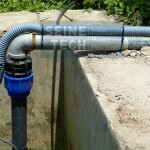 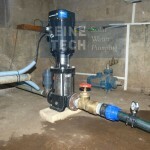 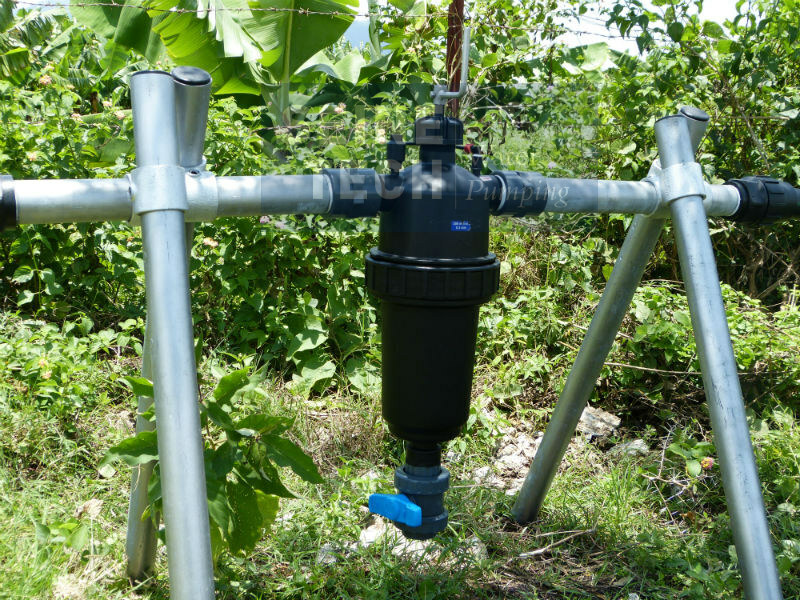 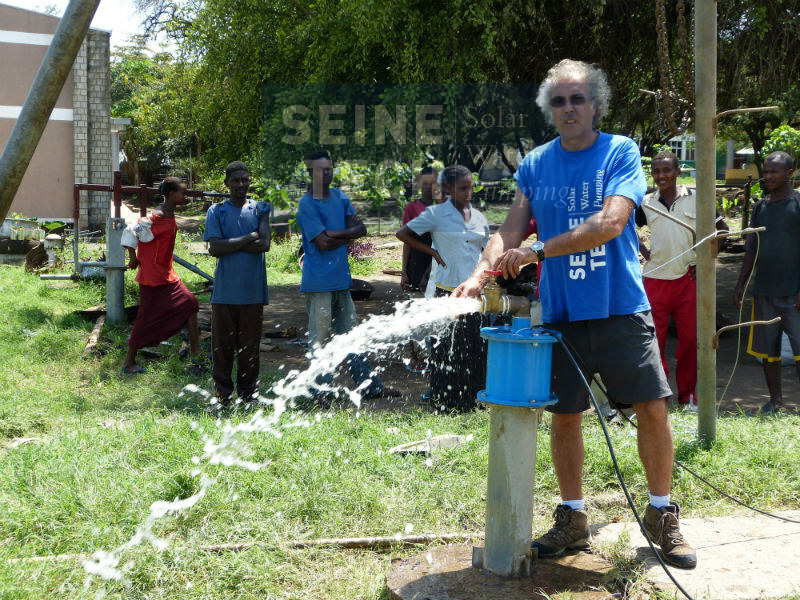 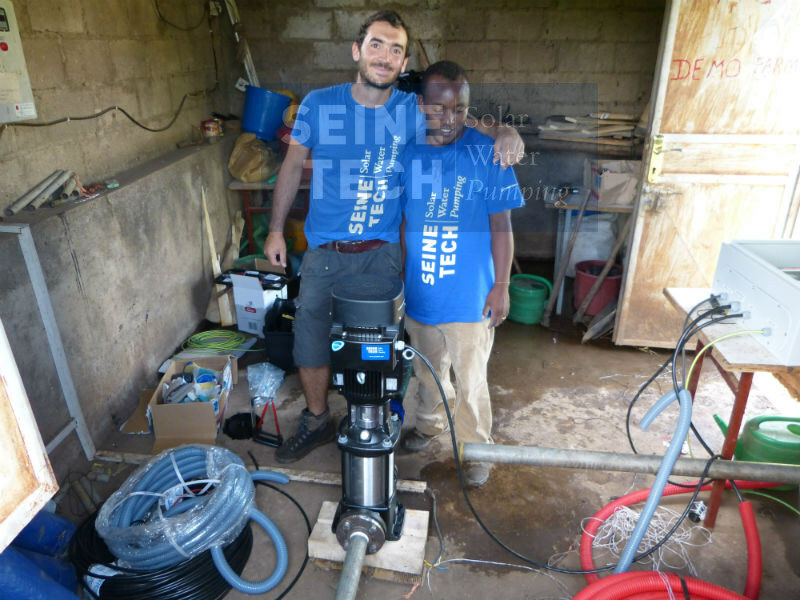 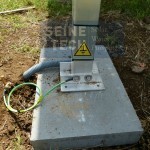 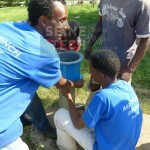 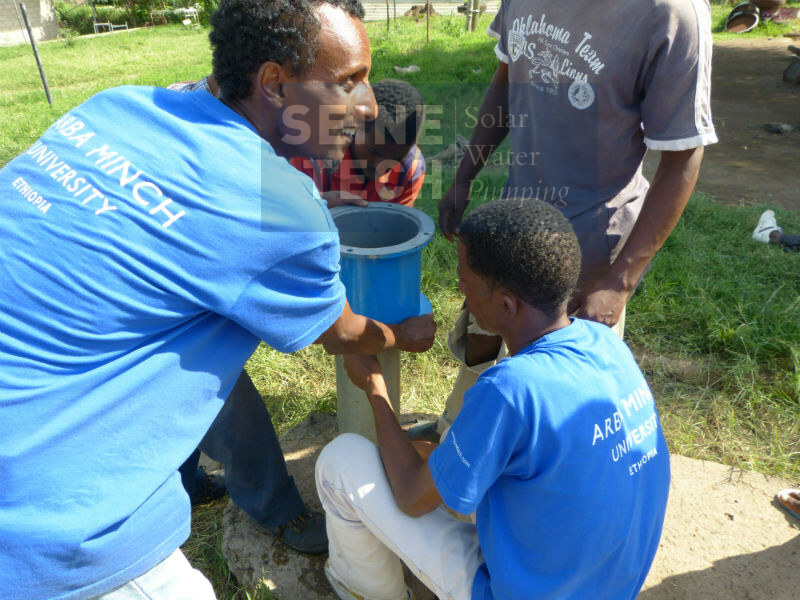 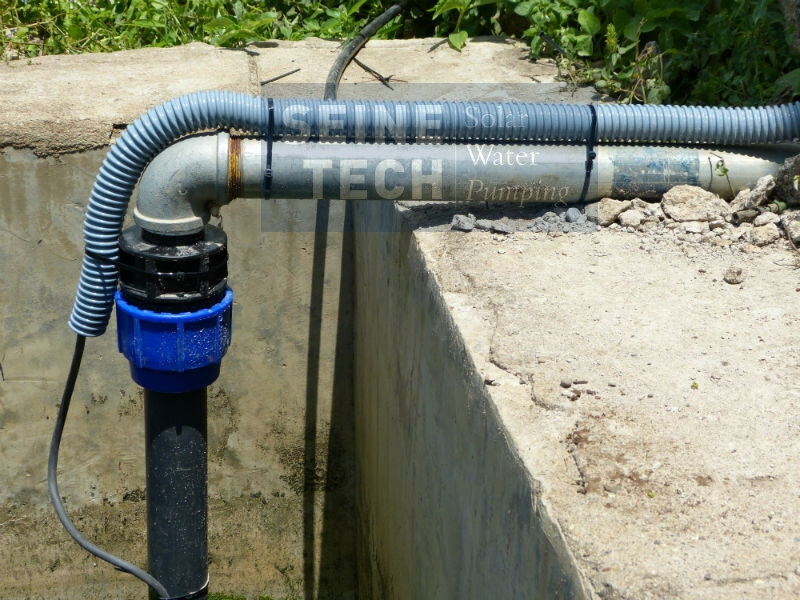 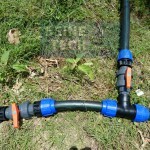 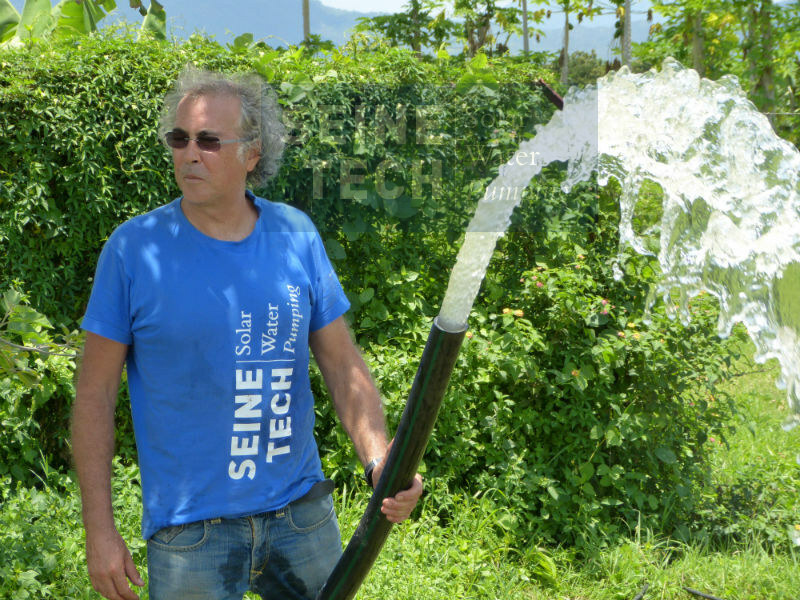 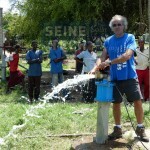 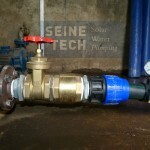 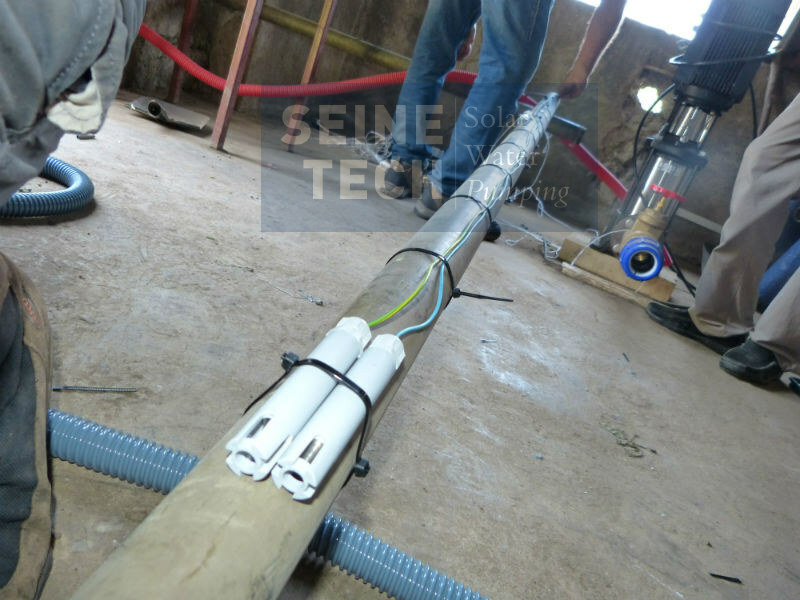 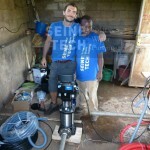 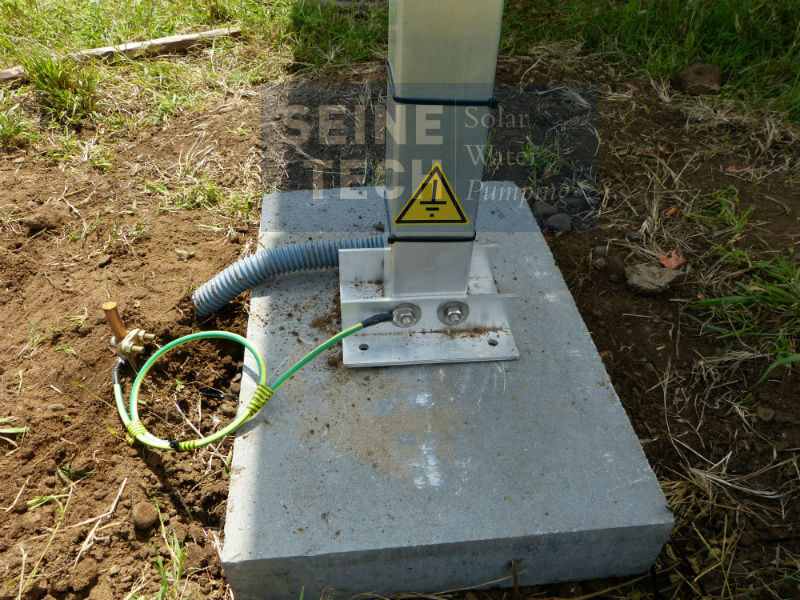 Another system of 1.710 Wp is installed to fetch water from a 20m depth borehole using a AC triphase submersible pump SP5A12 model.